Stainless steel case with a black leather strap. Fixed stainless steel bezel. 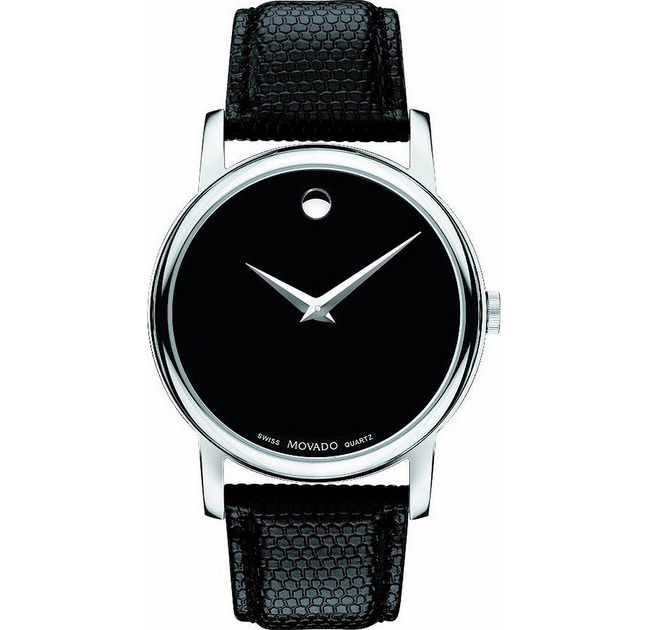 Black dial with silver-tone hands. No markers. 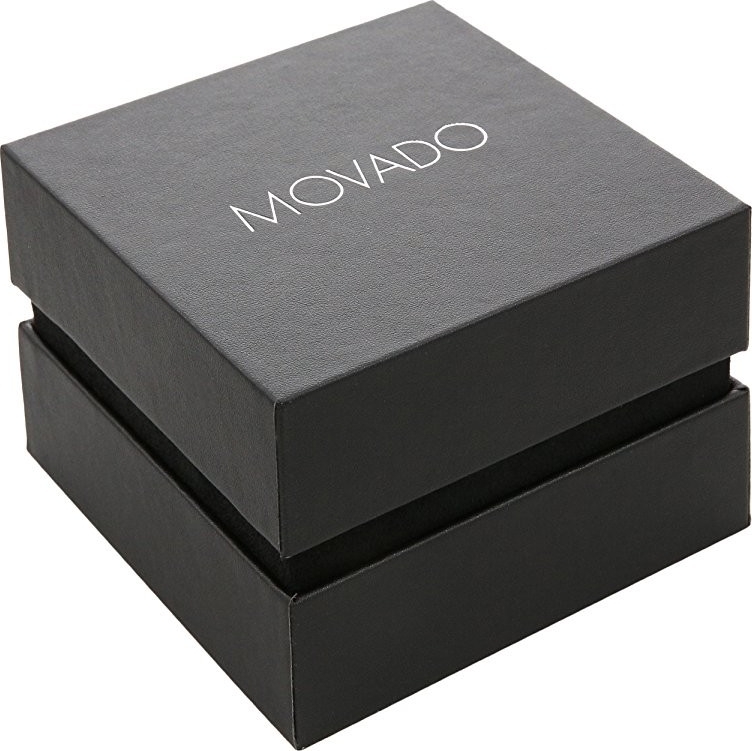 The signature Movardo dot appears at the 12 o’clock position.